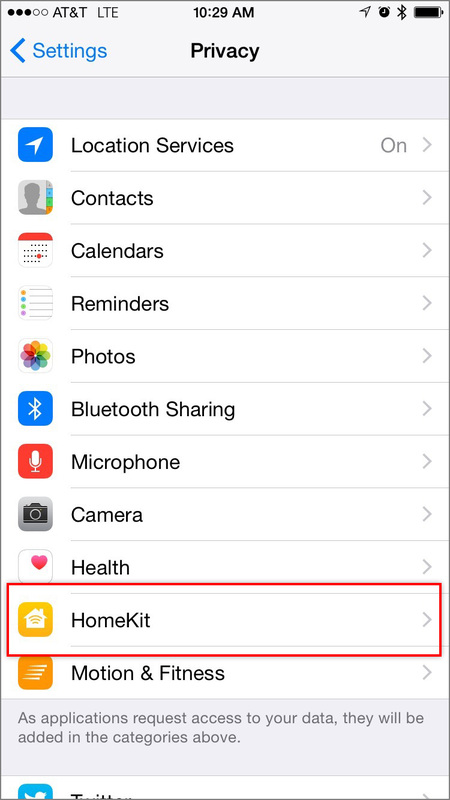 Insteon+ requires access to your HomeKit accessory information on your iPhone, iPad or iPod touch to communicate with your HomeKit devices. 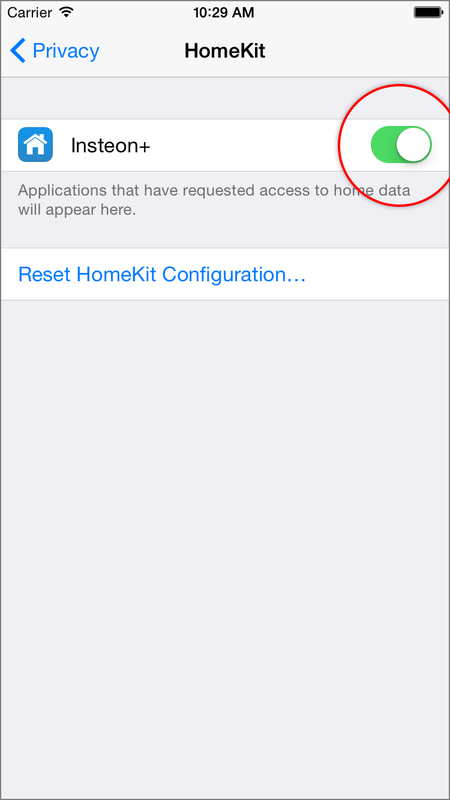 If this permission is disabled or if you decline the HomeKit Accessory Data prompt, you will need to manually provide Insteon+ access to HomeKit. On your iPhone, iPad or iPod touch, navigate to Settings > Privacy. Ensure the switch for Insteon+ is green.